Rightways: Najib is guilty of incompetence, he says: board to be blamed for 1MDB debacle, not me, I don't know ! Najib is guilty of incompetence, he says: board to be blamed for 1MDB debacle, not me, I don't know ! It is impossible for Datuk Seri Najib Tun Razak not to know of transactions related to 1MDB when his signature was on the documents, says Tun Dr Mahathir Mohamad. The Prime Minister said he could not believe his predecessor’s claim that he knew nothing about money from the state fund ending up in his personal account. “Who wants to believe him (that he didn’t know), when he signed (his name)? “Every bit of money that goes in and out of the first borrowing of RM42bil, all (had) his signature,” said Dr Mahathir. The amount refers to the total debt accumulated by 1MDB, a fund which was, in fact, founded by Najib in 2009. “If he doesn’t know, it must be that he doesn’t understand what a signature means,” Dr Mahathir was quoted as saying in an interview with the Malay Mail yesterday. Dr Mahathir described as “ludicrous” for someone to direct RM2bil to be transferred into his account, while refusing to be informed of the transaction. “This cannot be. Because I have to sign to use the money. “To use the money, I have to issue cheques. Najib always assumes that people are stupid,” Dr Mahathir added. It was previously reported that about US$700mil (RM2bil) was allegedly misappropriated from 1MDB into Najib’s personal account. In a Reuters report on Wednesday, Najib blamed his advisers and the 1MDB board for keeping the alleged embezzlement information from him. He said he did not know if hundreds of millions of dollars that moved through his personal account was from 1MDB, and if money from the fund was eventually laundered to acquire assets globally, including yachts, paintings, gems and prime real estate. To this, Dr Mahathir said the Government had all the information on Najib’s alleged involvement in moving the 1MDB money, and that it knew how much money had gone into Najib’s account. On Wednesday, the Prime Minister disclosed that the authorities had “an almost perfect case” against Najib for embezzlement, misappropriation of funds and bribery. He does, though, have explanations for the vast sums of cash, luxury handbags and jewellery recently seized from his homes by the Malaysian authorities. Speaking to Reuters in his first sit-down interview since his shock May 9 election defeat, Najib said his advisors and the management and board of 1Malaysia Development Berhad (1MDB), had wrongly kept the alleged embezzlement of funds a secret from him. Newly-elected Prime Minister Tun Dr Mahathir Mohamad told Reuters on Tuesday that the authorities have “an almost perfect case” against Najib on charges of embezzlement, misappropriation and bribery linked to 1MDB. Najib, in some of his most extensive comments yet on the 1MDB scandal, said he did not know if hundreds of millions of dollars that moved through his personal account was from 1MDB, and if money from the fund was eventually laundered to acquire assets globally, including yachts, paintings, gems and prime real estate. “I’m not party to the yacht, the paintings...I’ve never seen those paintings whatsoever,” said Najib. “I was not aware of these purchases. This was done without my knowledge. I would never authorise 1MDB funds to be used for any of these items. 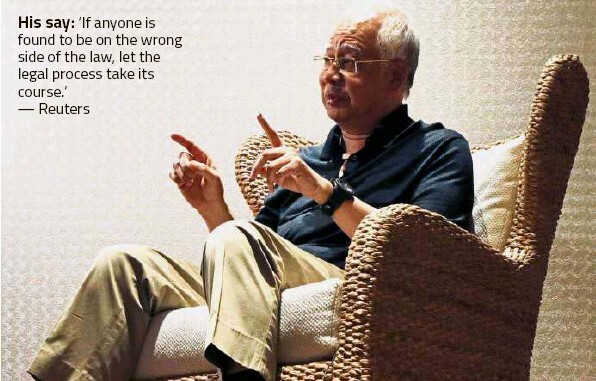 I’ve been in government so long, I know what’s right and what’s wrong,” Najib said in the interview held at a luxurious sea-facing private villa in a five-star hotel on Pulau Langkawi. He blamed 1MDB’s board, saying it was incumbent upon them to tell him if something was wrong. Relaxing in a black T-shirt and brown pants, Najib said he was enjoying golf, food, and time with his family. The family booked the villa to celebrate Hari Raya holidays together. Najib’s children, including stepson Riza Aziz, a Hollywood film producer, were with him for the week, his aides told Reuters. Malaysian investigators looking into 1MDB say they believe that Najib and his wife Datin Seri Rosmah Mansor have amassed vast amounts of wealth and property using funds from the state fund. Rosmah briefly appeared at the interview but Najib said she would not take questions. Nearly 300 boxes of designer handbags and dozens of bags filled with cash and jewellery were among the items taken away by police in raids at properties linked to Najib’s family. Items included Birkin handbags from the luxury goods maker Hermes, each worth up to hundreds of thousands of dollars. Najib said the public seizure of handbags and other luxury items created a negative perception but most were gifts given to his wife and daughter and had nothing to do with 1MDB. “Yes these were gifts, particularly with my daughter’s they were tagged, they were actually labelled: when, by whom,” adding that a lot of them were wedding presents. Najib said his son-in-law Daniyar Nazarbayev, the nephew of Kazakstan president Nursultan Nazarbayev, also gifted many of the handbags to Rosmah. “People might find it hard to understand, but my son-in-law for example, he gets Birkin from his source, five or six at one go,” he said. US prosecutors have alleged that more than US$4.5bil (RM18.02bil) of 1MDB funds were laundered through a complex web of transactions and shell companies. The US Department of Justice (DoJ) has filed several lawsuits to claim about US$1.7bil (RM6.8bil) in assets believed to have been stolen from 1MDB. Some of the assets sought include a Picasso painting, luxury real estate in South California and New York, shares in a Hollywood production company and a US$265mil (RM1.06bil) yacht, and more than US$200mil (RM800.9mil) worth of jewellery – including a 22-carat pink diamond pendant and necklace. Najib said this jewellery set was also meant to be a gift for his wife but she never received it. “And until today we do not know...she says the item is not in her possession,” Najib said. In the interview, Najib for the first time also spoke at length about Low Taek Jho, a Malaysian financier better known as Jho Low. US and Malaysian investigators have named Low as a key figure who benefited from 1MDB funds. Najib said he felt that Low’s connections in the Middle East, particularly with Saudi Arabia and the United Arab Emirates, could be helpful in pulling in more investment to Malaysia from those places. But he said he had never instructed Low to get involved in 1MDB, and had no control over what he did. Malaysia is seeking to arrest Low, believed to be residing abroad, for his involvement in the 1MDB scandal. He described Low and Najib’s stepson Riza as friends but said he was not aware of any dealings involving 1MDB funds in Riza’s Hollywood production company, which produced The Wolf of Wall Street among other movies. Low’s lawyer did not immediately respond to a request for comment. Najib has consistently denied any wrongdoing in 1MDB. He has said US$681mil (RM2.72bil) transferred into his personal bank account was a donation from Saudi Arabia, and not as US lawsuits have alleged misappropriated funds from 1MDB. Najib said he had been given assurances from the late Saudi King Abdullah bin Abdulaziz Al Saud that Saudi Arabia would be sending a donation. LANGKAWI: Former prime minister Datuk Seri Najib Tun Razak has denied that he benefitted from 1MDB, adding that he believed that the sovereign fund had been created to do “something good for the country”. “If I knew there was going to be misappropriation of funds, if that was my knowledge, I would have acted,” he said. He also said that they had no control over what Jho Low – who has been named the main suspect in the 1MDB investigation – did, adding that he could not pass judgment. “But there are certain things which he may or may not have done. But I am right to say that investigations should proceed and if anyone is found to be on the wrong side of the law, let the legal process take its course. “No, he was not working on my behalf. All those items he never invoked my name but he did say he was acting for someone else,” he said. He also said that he had not talked much about the 1MDB allegations because all these things happened out of Malaysia and that there were some “international ramifications” if he were to name certain prominent individuals who might affect the country’s diplomatic relations. On RM2.6bil that was moved into his personal account in 2013, he said with the general election coming then, he had not wanted to get funding from companies as they would expect something in return eventually. 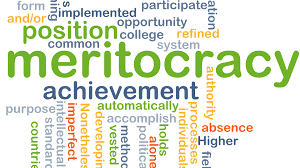 “If I have a source of funding, I could fund the elections and I could also do a lot CSR (corporate social responsibility) work without being obligated to anyone. That was my real intention you see. And I assumed everything was fine,” he said, maintaining that the RM114mil ringgit allegedly seized during investigation into 1MDB to be “genuine donations because the raid happened just two days after the 14th General Election. As president of the party, I had to prepare for the elections, and elections are very expensive affairs. On Barisan Nasional’s defeat in the elections, Najib said he saw part of it coming but that he did not expect it to be this catastrophic, blaming it on Opposition’s allegations that changed public opinion. On the reopening of the Altantuya Shaaribuu murder case, he said the case had already been dealt with and denied that there was any evidence that he had ever met her. “There are no records, no pictures or witness to say that I even knew her. It was subject to a proper trial and my name didn’t come up during the trial whatsoever. 1MDB EMBATTLED Najib Razak 透视大马 Najib hires top American lawyers, including former US A-G - Nation ... John Ashcroft was the .